Get a full detailed estimate for transporting your goods by air to Australia. 24/7 online customer advice. Without a doubt the air transport is one of the youngest but also one of the fastest ways of delivering boxes and other items to OZ. Within 24 hours your package can reach the recipient on the other continent. Contact us for your free air shipping quote! 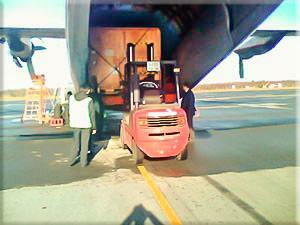 The air freight has been successfully used for the carriage of passengers, mail and cargo by air for quiet a long time. Its main advantage is to provide significant time savings which can be achieved due to the air plane ability to move at the highest speed available within the shipping industry. 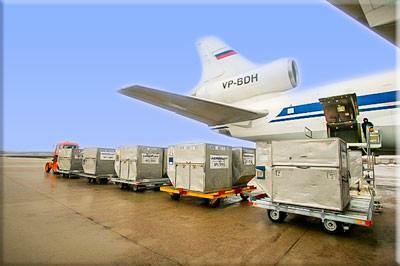 The air transport is also used primarily for the delivery of emergency supplies and documents. The planes and helicopters make an impossible delivery possible. Where the train and the lorry can not get the air transport has something to say. No matter where you are in the United Kingdom we can organize a daily collections! Give us a call to find out more info on air cargo services! Air transport is among the most popular ways of shipping goods from one place to another. It is also of a great importance to the international traffic. It is estimated that while only 1% of the world's freight is transported by air, the total value of such goods is 20% to 30% of the total value of all transported goods. Today, air shipping to Australia consists of modern aircraft that can be flown over long distances without refuelling which was impossible in the past. The result is non-stop transatlantic flights carried out every day. It is estimated that in the future there will be more and more long distance flights. availability of the hazard associated with adverse weather conditions such as snow, fog, rain, storm etc. Air transport is probably the youngest, most expensive and fastest form of transportation. It is used, for example by courier companies to deliver important, urgent documents and correspondence to almost anywhere in the world. Opting for air transportation is dictated by the consideration of urgency, delivery, and hence its importance and value. Cost of goods shipped by air cannot be neglected. Due to exorbitant air freight prices it is not profitable to transport cheap goods over long distances by air. Such goods at the destination will be not competitive because of its high cost. If you are not intereste in the air transportation to Australia you may want to find out more information about car shipping, or removals services.